Bird Recovery International has been a leader in developing a new approach for the viable reintroduction of captive bred and specially trained birds back into natural habitats. Called Bird Recovery Initial Nurturing Kernel (BRINK), this is a population stabilization management approach that focuses on maximizing individual survivability for captive bred birds when reintroduced back into the target natural habitat. 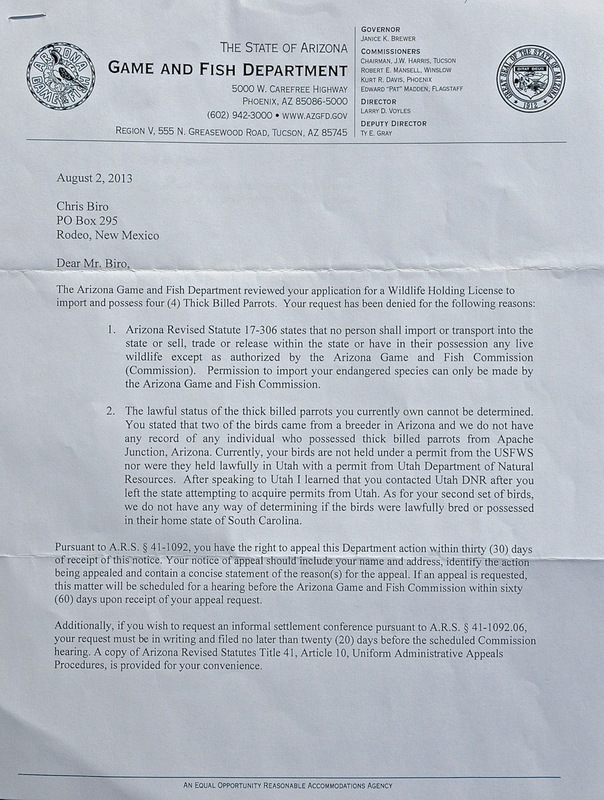 Arizona Congressman Ron Barber sends letter on behalf of BRI to Department of Interior. Click on link to read PDF. This map tells a very different story then the accepted version. 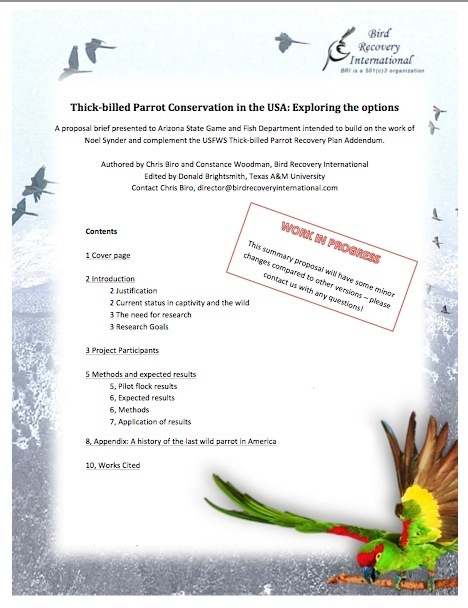 We have found documented sightings of Thick-billed parrots much farther north than generally believed, also within West Central New Mexico and West Texas. Sightings are marked with red pins, artifact and bird remains are marked with green pin. Click on individual sightings in map legend to view source documentation. Click on image to see PDF.